This thread is for comments about our Brewfest guide. Doing the Coren Direbrew fight, it doesn't teleport you directly to him. Instead, take a right and activate the controls. Doing so will make a mole driller pop up and take you to him. Do remember mobs are over in this area and they will come to attack. Only level 40 though, but still annoying. Dude you totally forgot the new item the beer hat,it lets you keep on your current helm but transforms it into a hat with 2 beers and straws for the duration of the Brewfest event,i think it only costs 10 brewfest coins and looks really funny! On EU servers, is seems that the Wolpertinger's Tankard is no longer for sale for 50 silver. It now sells for 200 brewfest coins. Is there an upgrade MoP versoin of Direbrew's Bloodied Shanker? If not i can take my time leveling my Rogue. There isn't, I just got one on my monk and it is still the level 85 version. members of my group earlier were receiving the direbrew shanker and 1h maces off of direbrew. didn't see it in the guide so i wanted to let you know. awesome site btw. Thanks :) I don't think I'll list these items, unless they get upgraded. I have a question.. SInce im leveling my monk and want to get "Brewmaster" ach for him, can i do dailies and get Pet ach and Boss ach on my lvl 90 main? will it count as done for my Monk, or do i need to do all of them per character for which i want ach? Most achievements are retro-active (I apologize if i am using this term wrongly), in being that you can obtain part of the achievement on one character and do the other part on another character. Altho you can/will have to redo the event with your alts mainly if you want to get items for that alt that you are redoing with. (unless the items are BoA). Two things which need to updated in the text (the tooltips pull from WoWDB so those are correct): Complimentary Brewfest Sampler is now Alcohol-Free Brewfest Sampler; and Drunken Stupor was re-named to Almost Blind Luck. The Overflowing Purple Brewfest Stein is still available this year for those who didn't get it in 2011. -Sadly, the Dark Iron attacks are very difficult to fend off these days. Most people have done it enough times that they simply refuse to take any interest in it anymore. Vanity items take up precious bag space and not that many people are interested in them. You can win the Dark Iron invasion by having everyone stick near one keg and letting the Dark Irons take the other two-- they can only win by destroying all three kegs-- but you still need at least a few people to succeed, as there will be increasingly large numbers of dwarves to fend off as the timer winds down. -The Brewfest garb is loosely based on real Oktoberfest garb, but not a perfect replica. The dress looks more like a Renaissance Peasant dress than a German dirndl. Dirndls are usually bit more colorful, and often come to midcalf, while in WoW, all dresses come to the ground. The Brewfest Regalia includes the traditional Lederhosen (knee-breeches with suspenders) and shirt, but the tie and vest are usually not part of real Oktoberfest garb. The Brewfest slippers and boots look very similar (possibly due to graphic restrictions), except that the slippers have a design along the instep, and the boots come with striped knee socks. Brewfest garb is NOT gender specific, but you will see very, very few female NPC's wearing the regalia instead of the dress. -Sadly, weapons were not upgraded to MOP stats, and while the 2012 Brewfest tokens were very strong, the Coren Direbrew fight was tuned for level 90 just at the release of the MOP expansion leaving very few people able to reach the required level in time. And now, this year, most people have stronger trinkets than the level 470 ones offered. 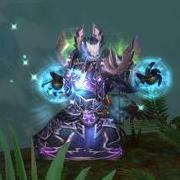 Brewfest is one of my favorite WoW holidays, and many people finished the meta simply to use the Brewmaster title for their new monk characters thanks to account-wide achievements and titles. Unfortunately, in the last year or two it's stagnated some and participation is continuing to dwindle. You may want to remove the part about key binding the reigns item to an action bar before doing the keg run daily. Using the item during the quest dismounts you and ends it instantly, wasting the daily. While there is no new Brewfest Stein souvenir this year, players who don't already have the Overflowing Purple Brewfest Stein can get one now. Just talk to Pol Amberstill, next to the Racing Ram tent. Just a small note, but you need to be 110 (possibly lower... I didn't check) to complete this in Legion (2016). The tuning seems really rough for level 109s or fresh level 110s in 770 gear. It's doable, but there will probably be several deaths.